Back in the old days, embroidery was only done by hand. The sewing machines weren’t advanced enough to perform embroidery work. So, it took a lot of time to complete embroidery projects. But now, thanks to the modern sewing machines, complex embroidery projects can be carried out effortlessly and quickly. Professional embroidery machines are mostly used for complicated embroidery projects. You may have heard that professional embroidery machines are ridiculously expensive. This isn’t entirely true. Yes, there are several very expensive professional embroidery machines out there, but plenty of reasonably priced ones too. If you want to complete complex embroidery work, then you should definitely get yourself a professional embroidery machine. Since there are plenty of professional embroidery machines on the market, it may be hard for you to find the one that fits your budget and meets your needs. So, we will help you out by reviewing the best professional embroidery machines currently available in the market. Before we discuss these machines, let us talk about what you should look for when buying a professional embroidery machine. If you are searching for a professional embroidery machine, it means you are willing to spend more than a hobbyist. Therefore, you should go for the most reputed brands in the market. Which brands fall into this category? There are three brands for you to choose from. The first one is Singer, the second is Brother, and the third is Janome. 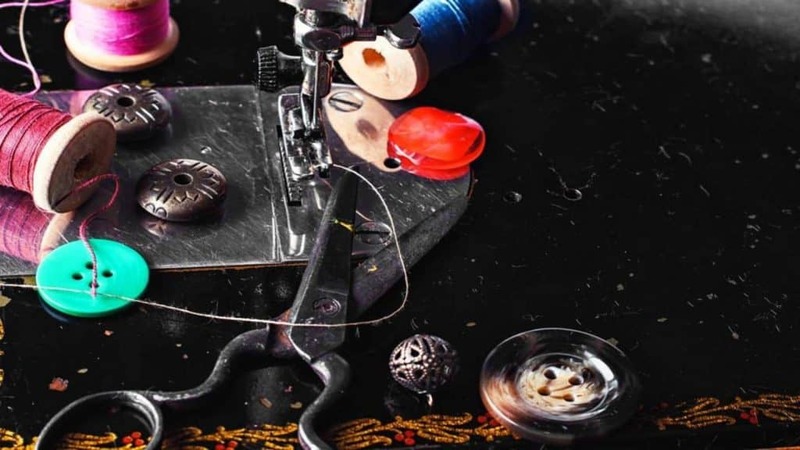 Some of these manufacturers have been producing embroidery machines for years while others are known for producing high-tech, innovative sewing and embroidery machines. The part of a machine under the needle where the fabric is placed for embroidery is referred to as the embroidery area. Professional embroidery machines mostly have a minimum 4×4 inch embroidery area. 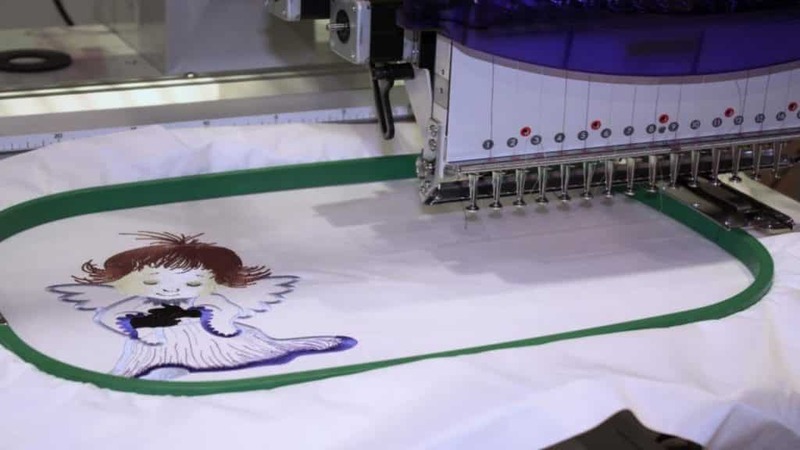 Some machines offer a bigger embroidery area, but they are more expensive and suitable for industrial use. If you want to create unique embroidery designs, look for a machine that comes with built-in designs alphabets. The best professional embroidery machines will also allow you to download designs and fonts from the internet. Uneven thread tension can disturb the flow of the design when you are sewing in batches. Moreover, if there is no automatic thread tension, it must be adjusted manually so that it complements the fabric you are working with. Therefore, you should look for a machine that has an automatic thread tension. This feature will give a consistent flow to your designs. Moreover, professional machines with automatic thread tension are less prone to puckering and thread breaks. If you plan to handle different types of fabrics, you should get a machine with variable speed control. With the help of the variable speed option, you will be able to adjust the speed according to the type of fabrics you are working with. No matter how well an embroidery machine is maintained, it is bound to need service after some time. Similarly, even the machines coming from the best brands malfunction sometimes. Therefore, you should check for a warranty on the machine. Some of the best brands give a limited 25-year warranty. You may be able to invoke the warranty clause and get your machine up and running again without paying a single penny. Janome MC-6300P Price: $999.00 "The machine was well worth what I paid." 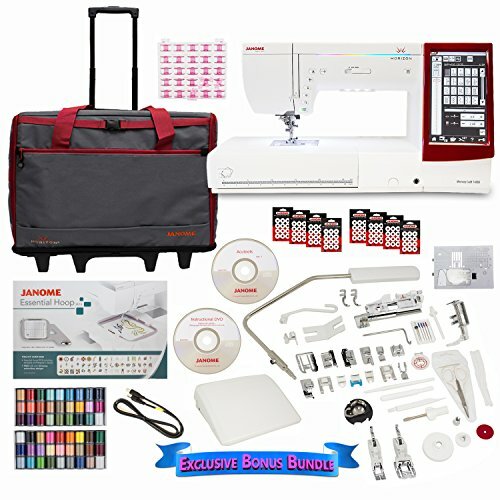 If you are looking for a professional embroidery machine which can automatically adjust thread tension, make loading bobbins easy, gives several presser feet, and is still reasonably priced, then Janome Memory Craft 6300 may be the ideal option for you. This machine offers a top-loading, drop-in bobbin system. These bobbins carry more threads which will make your embroidery work easier since embroidery usually requires more thread. Not only that, but drop-in bobbin enables you to see how much thread is left. This way you’ll know beforehand when it is time to change the thread. One of the features we like about the Janome Memory Craft 6300 is stitch editing. This professional embroidery machine lets you perform individual stitch editing along with combination stitching editing, adding more uniqueness to the designs. The Janome Memory Craft 6300 has an automatic thread cutter with built-in memory. This means that when the thread cutter is used, it’ll memorize the fabric’s thickness among other details for the future. Brother PE770 Embroidery Machine 5” x 7” is another professional grade machine that you can use to complete complex embroidery projects. It is a user-friendly machine with advanced features and comes with a 25-year limited warranty. The expansive 5×7 inch field allows you to complete larger designs and lettering work. One of the best things about the Brother PE770 is that it comes with 136 embroidery designs including intricate florals, delicate scrollwork, and classic quilt patterns. This gives you plenty of options to choose from. To give an impressive finishing touch to your work, you could choose from 12 built-in border styles and ten frame shapes. The Brother PE770 also has a variable speed control which will come in handy when you are working with different types of fabrics. There is a start/stop button so you won’t have to worry about peddling the foot to work. An auto thread cutter is also available for precise thread trimming and consistent stitching. Moreover, Brother PE770 offers multiple editing functions that can be accessed through the LCD touch screen. It has a built-in memory and more designs can be imported into the machine via a USB stick. Whenever you embroider, quilt, sew garments or complete other projects, the Janome 12000 makes it more enjoyable. It will allow you to complete your embroidery work more quickly as this machine is packed with some powerful features and is effortless to use. Janome MC12000 may not be suitable for commercial embroidery shops. However, if you are looking for a professional embroidery machine that you can use in your home for complex projects, then it is certainly a good option. The Janome MC12000 features a 15-inch stainless steel plate and comes with an LCD touch screen display. It has 425 built-in stitches and 13 one-step buttonholes. There are plenty of editing functions available in this machine – you can resize, duplicate, combine, flip, drag and drop, group, arc, zoom, and trace. 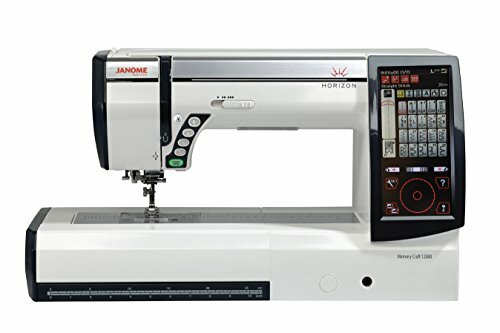 The Janome MC12000 can be connected to a PC through a horizontal link which means you can download more embroidery designs into the machine. It also has an automatic thread cutter with memory capacity. The Janome 1200 has all the functionalities that you would want on professional embroidery machines. It is the ultimate professional embroidery machine with great power, incredible user convenience, and wide stitch variety. 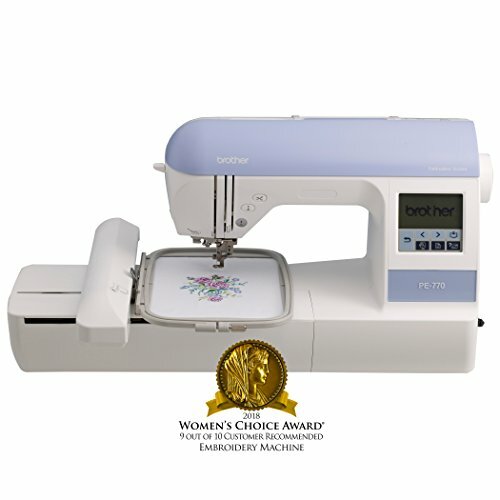 The Brother SE400 is another great professional embroidery machine that has received the Women’s Choice Award for its impressive features and embroidery capabilities. It comes with a myriad of impressive features and offers a user-friendly interface which makes it suitable for both intermediate and advanced sewers. 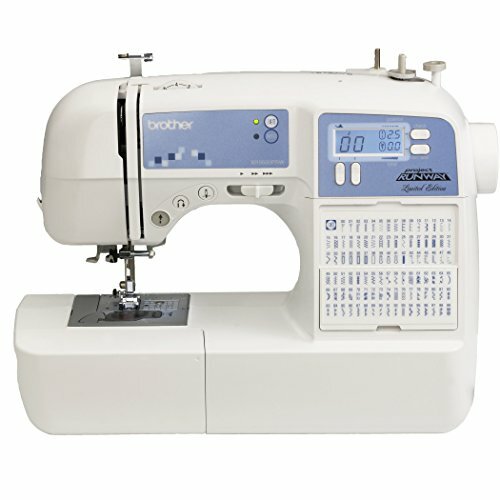 The Brother SE400 has many sewing features. It gives you the ability to embellish clothing, home décor, and gifts effortlessly, thanks to the 4×4 inch embroidery area. This machine comes with 64 built-in stitches with 98 different stitch functions. It is easy to do embroidery work with the LCD screen display, quick start guide, and built-in tutorials. You can create unique patterns by selecting a design from the 70 decorative designs, five lettering fonts, and 120 frame patterns. The Brother SE400 is undoubtedly one of the best professional embroidery machines currently available in the market. It is convenient to use thanks to the automation features and will allow you to transform your creative ideas into clothing designs. The machine has attracted positive reviews from customers because of its top-notch performance. The Janome Memory Craft 14000 is a perfect machine for complex embroidery projects. It comes with 350 built-in embroidery designs, three letter monogramming functions, and 11 fonts with European characters. The maximum embroidery size offered by the machine is 9.1 x 11.8 inch. Because of its powerful motors, the Janome MC14000 can sew 1,000 stitches in a minute. This enables you to complete bigger projects in less time. It is easy to create designs and edit on them on the colored LCD touch screen. The Janome MC14000 can also be connected to the PC which allows you to transfer more designs and patterns into the machine. This professional embroidery machine also offers editing functions like resize, duplicate, rotate, combine, arc, flip, group, trace, and drag and drop. Using the stitch composer program, you can create stitches and edit them directly from your computer. The variable zig zag option makes free motion quilting easier while AcuFeed flex gives precise control for high-quality embroidery work. The Janome MC14000 is great for both embroidery and quilting. If you are looking for a professional embroidery machine for a home-based business, then this could be the right option for you. You will be able to handle bulk orders and finish before the deadline. 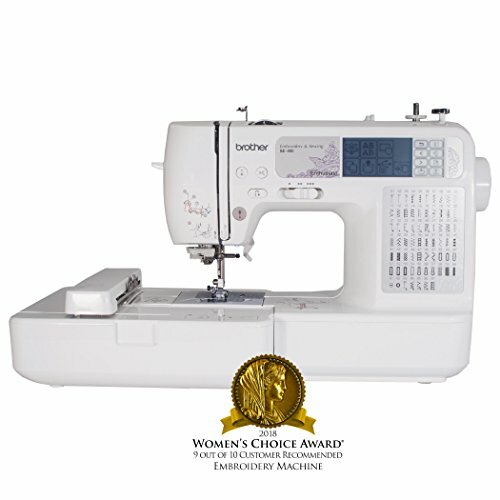 Brother Project Runway XR9500PRW Price: $479.99 "This machine is fantastic! It has renewed my interest in sewing and seems to be a quality product that will last for years." The Brother XR9500PRW is an inexpensive machine that you can use to carry out professional embroidery work. Although its performance doesn’t compare to others in the list, it still packs a lot of features that you can use for efficient embroidery work. If you are looking for a professional embroidery machine on a tight budget, then the Brother XR9500PRW could be the right option for you. It comes with 100 built-in utility stitches including heirloom and decorative stitches, each with different stitch functions. The Brother XR9500PRW is a computerized machine that’s built for flexibility and durability. Embellish quilt blocks, join them with built-in quilting stitches or use the decorative stitches to embellish pillows, towels, clothing, and more. This machine is perfect for creating unique designs. The variable speed control option allows you to adjust the sewing speed according to your project requirements. The sewing area is brightly lit with LED so you can do work in places where the light is dim. The Brother XR9500PRW Is designed for users who don’t intend to take on bulky projects. It is a great professional machine that even the beginners can use for an embroidery machine. The machine has all the features you would need for your embroidery work. The best thing about it is that it comes at a budget-friendly price. However, it should be noted that the capabilities and features of this machine don’t compare to others on this list. So, we would recommend you to buy a more expensive machine if you intend to carry out larger embroidery projects. We have done the legwork for you in finding the best professional embroidery machines currently available in the market. Now it is up to you choose the professional embroidery machine that best suits your needs. When you are looking to buy a professional embroidery machine, consider brand name, variable speed option, embroidery area, and other features available in the machine. The machines listed in this review are the best embroidery machines and you can’t find a better machine than these. So, if you are searching for a high-quality embroider machine for complicated, professional projects, select one from our list. Carefully check the features and capabilities of each machine and compare them to choose the one that is best for you.